Despite being somewhat of an unspoilt paradise, the Kingdom of Tonga is one of the least visited countries in the world and is often overlooked in favour of neighbouring Fiji. However, as with many places, tourism in Tonga will boom eventually – if you can, you should beat the rush! Don’t be put off by a lack of tourist infrastructure – Tonga is known as ‘The Friendly Islands’ for a reason. The locals are some of the kindest people we’ve met while travelling, and are always willing to help you out. 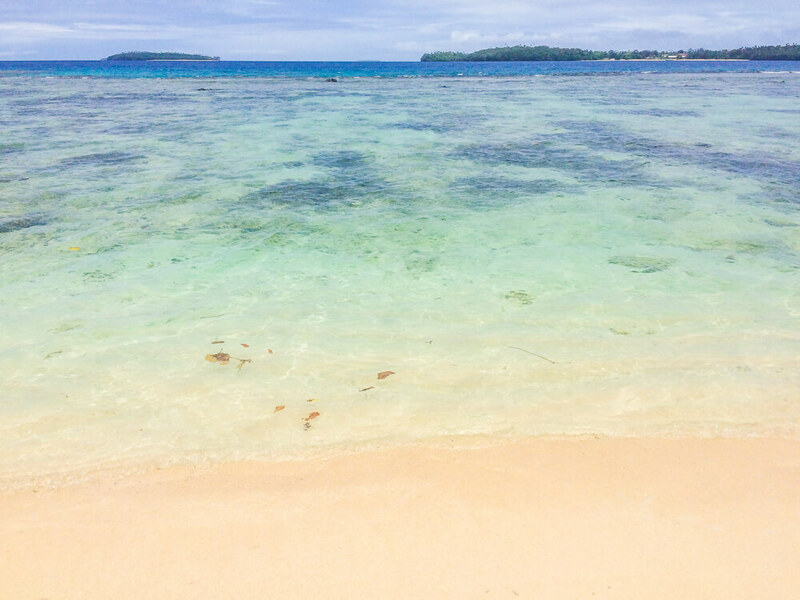 There are also a number of beautiful beaches in Tonga, so it’s the perfect destination if you want a relaxing getaway – especially if you’re coming from Australia or New Zealand. Here are the 5 best places to visit and things to do in Tonga. One of Tonga’s most popular destinations, offering potentially the most incredible wildlife encounter imaginable. Plan your trip between July and October to seize the opportunity to swim with magnificent humpback whales. It’s a rare chance to get up close with these beautiful giants of the sea, and one of the most popular things to do in Tonga. 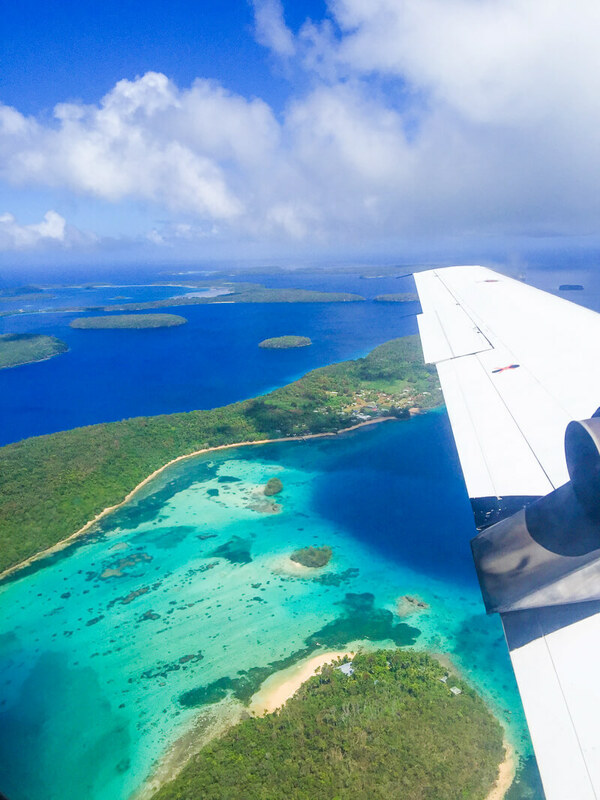 While in Vava’u, arrange a yacht trip to explore caves, visit secluded paradise beaches, plus snorkel and dive brilliant reefs. There’s plenty of fascinating marine life for you to see – such as reef sharks, turtles, octopi and more. You’re sure to have a whale of a time! Click here to find great accommodation deals for your trip to Vava’u with Agoda! The capital city of Tonga’s main island, Tongapatu, is unique in comparison to many other capital cities of the world. High rise buildings are nowhere to be seen, with the appeal of being able to easily walk anywhere you may want to go. It’s a far cry from huge cities like London. Wander the streets past the royal palace, stroll along the pleasant waterfront and don’t be surprised to find a pig or two roaming unattended. While there aren’t too many things to do in Nuku’alofa, Tonga, it’s still a nice place to spend a couple of days. On Sundays, almost everything in the city shuts down, and the locals visit church or spend time with their families. 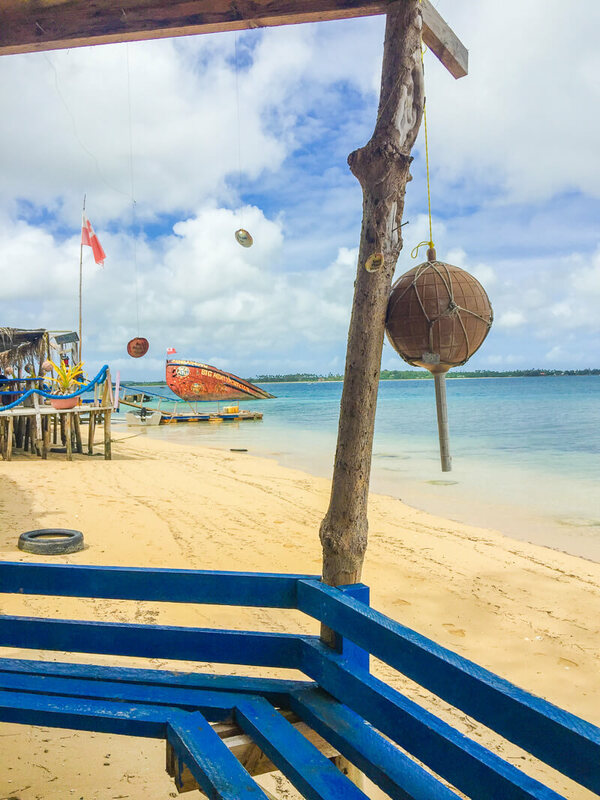 This leaves Nuku’alofa’s streets almost deserted – something that is rarely found elsewhere in the world, yet remains charming. Although this may not be what you normally expect of a capital city, it’s a great experience. Click here to find the best accommodation deals for your trip to Nuku’alofa! As is common with islands in the South Pacific Ocean, Tonga is blessed with many beautiful beaches. One of these is Ha’atafu beach – found on the main island of Tongapatu. Travelling there from Nuku’alofa is relatively inexpensive, with the option of either renting your own car or taking a taxi. Upon arrival, you may find that you have the white sand and lovely turquoise waters to yourself – as we did. 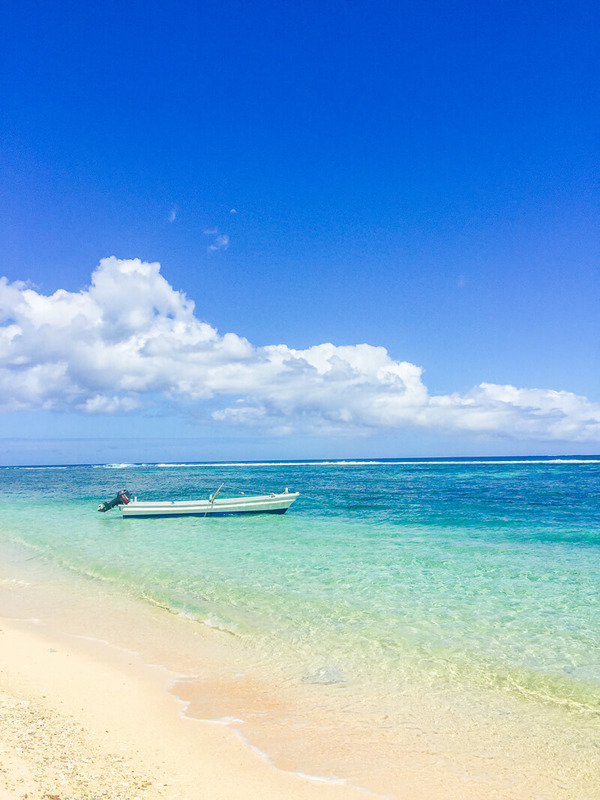 Whether you want to spend an afternoon relaxing in the sun, or enjoy the warm Tongan waters, Ha’atafu beach is a hidden gem. It really does work to your advantage that Tonga has few tourists. You’ll leave feeling lucky to have savoured such a gorgeous beach without the crowds you’d find in other destinations. There are also bars and restaurants along the seafront if you want to enjoy a beach sunset to top off your day. If you’re looking for some more secluded accommodation in Tonga, consider staying at Holty’s Hideaway Ha’atafu. This lovely property is right next to one of the best beaches in Tongatapu, making it one of the best resorts to visit in Tonga. Click here to see the latest prices at Holty’s Hideaway Ha’atafu for your trip! A stretch of 5 kilometres along Tongapatu’s south coast is home to one of the best tourist attractions in Tonga. 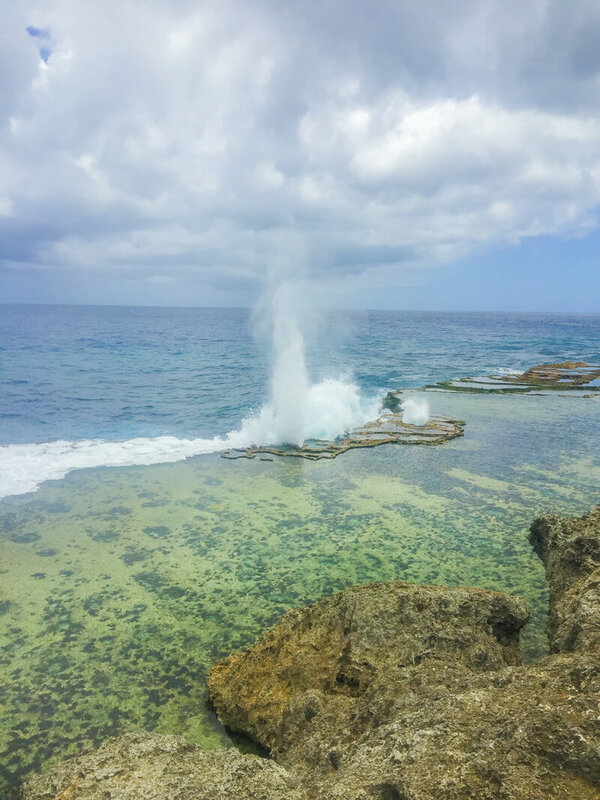 Nearby the village of Houma lie hundreds of blowholes, which, given the right conditions, catapult water 30 metres into the air. Like many other spots around Tonga, you may well be the only tourist there. Having the place to yourself is a special feeling as you witness surging waters shooting up all around. If possible try and visit on a windy day, as the rougher waters will mean you get to witness this spectacle in all its glory. To visit, either take a taxi or rent a car from the capital and test your navigation skills. We did the latter and despite having a very basic map and no previous knowledge of driving on the island, were able to get there with no more than a few wrong turns. We’d definitely say a visit to the Mapu’a ‘a Vaea blowholes is one of the best things to do in Tongatapu. Tongans tend to be extremely religious, and as such Sunday sees many restaurants and shops close for the day. If you don’t want to be caught out you’ll need to plan your activities in advance. Being on the main island of Tongapatu, you can take day trips to one of a number of nearby islands. This allows you to enjoy pristine beaches and take advantage of food service at a resort. Our choice was Pangaimotu island, which has beautiful crystal clear waters perfect for snorkelling, as well as a rusting shipwreck which local kids use as a makeshift diving platform. Island trips in Tonga can be booked in advance from Friends café in Nuku’alofa, but be sure to be on time for your boat to avoid being left behind like we briefly were! 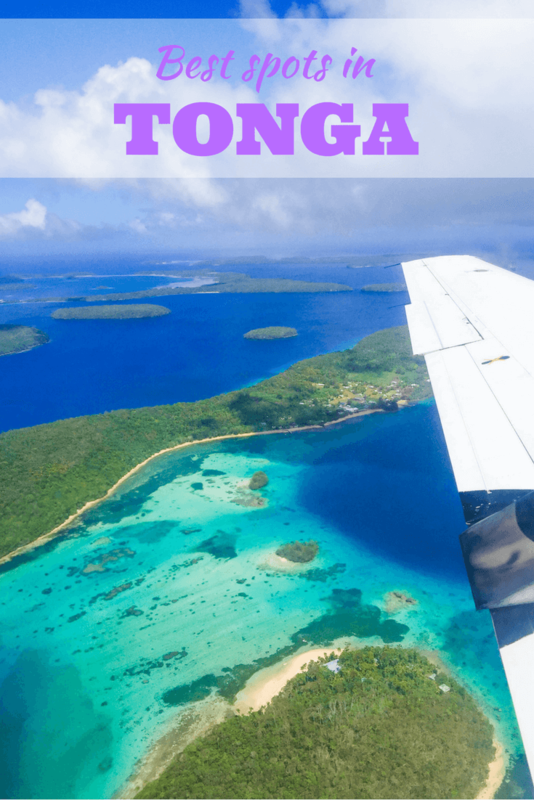 Like this list of the best places to visit and things to do in Tonga? Pin it! lovely beaches! truly a must-see place. The color of the water is unbelievable. The water there is so clear! Tonga seems a real paradise, so quiet and with a lush vegetation. I wonder what you can feel while you are relaxing on a beach like the one whose you posted pictures. Yeah the beaches here are amazing! Tonga looks absolutely. I’m glad you didn’t rank these five places in order because I don’t think you can go wrong with any of them! You really can’t! All 5 are great places to visit, thank you! man i had no idea this gorgeous place existed thank you for showing me! hopefully i can explore it one day! We hope you get chance to! It’s a truly wonderful place! You won’t regret it when you visit! Enjoy! I think you’ve just found paradise. What a stunning place, you’ve captured it’s beauty so well in your words and photographs. Thank you! We’re glad you think so and hope you get the chance to experience it for yourself one day! It’s definitely paradise – we highly recommend it if you get the chance!